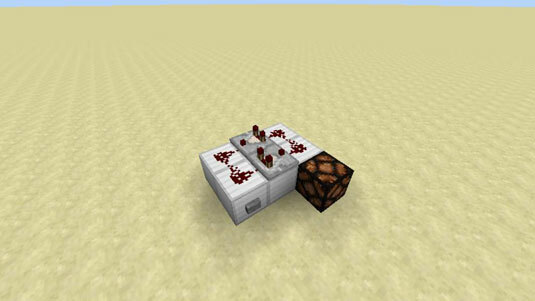 1Use the same redstone lamp shown here. 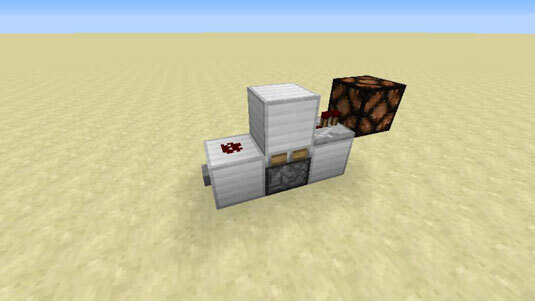 This contraption lights the redstone lamp longer but with the same button input. 2Place 6 blocks with redstone dust on the outer 4 blocks, as shown here. Place comparators facing each other on the middle blocks. 3Add a button to the left side of the contraption, and add a redstone lamp to the right side. When you press the button, the redstone lamp lights up and stays on for a few seconds longer than would normally occur with only a button.